Looks like he could do with developing a pass. All good to back yourself but he gets in the clear and has someone backing up the middle it's probably better if he can draw the fb and pass rather than trying to run over him, unless it's boyd it won't work as well at FG. Some strong running and agrro defence though. At least he doesn't look like a big kid just steam rolling little people. He just looks like a player who wants it more, which you can tell by leg drive in the tackle, the kid doesn't go down. Confirmed. 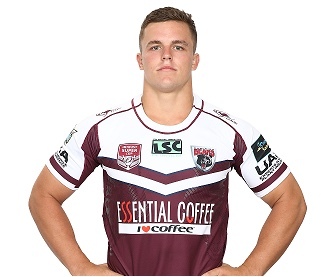 He played Jersey Flegg on Sunday, so presumably an Under 20s contract or a development contract.